It would be more correct to say "under expansion", seeing that the chimneys in the completed building are smoking. 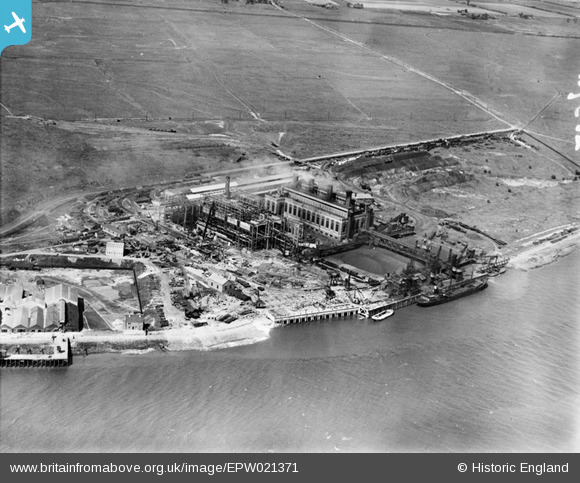 Barking A power station was opened 19th May 1925. 1928 seems a bit early for the start of Barking B, fully operational in 1939.